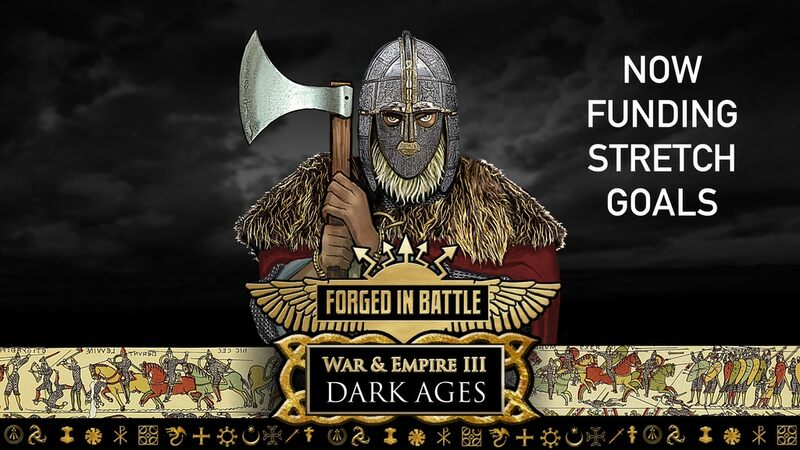 Welcome to "Dark Ages" a comprehensive, modern and high quality range of 15mm pewter Ancients miniatures for gaming. This is Phase III of the War & Empire project. We are running this Kickstarter to help fund the cost of moulding and production for Part III of the War & Empire project, which will allow us to add to the existing range. This range will cover the armies from the decline of Rome in the fourth century to the rise of Byzantium. Our range ends with the battle of Manzikert in 1071 and the decline of the Byzantine Empire. We are 100% committed to fulfilling all our pledges before any War & Empire product goes on sale. We ensure backers receive their rewards before any one else, at the very best price and quality, with top notch customer service. This has been the case with all our previous Kickstarters. The campaign's a good 4x its funding goal and then some, with still 7 days left to go to make it even higher.